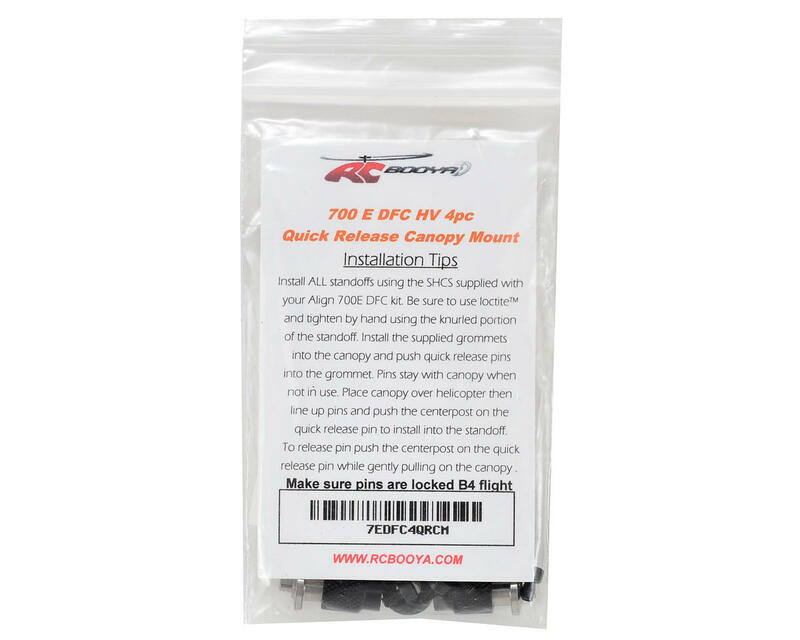 This is an optional RCBooya T-Rex 700E DFC Quick Release Canopy Mount Set. 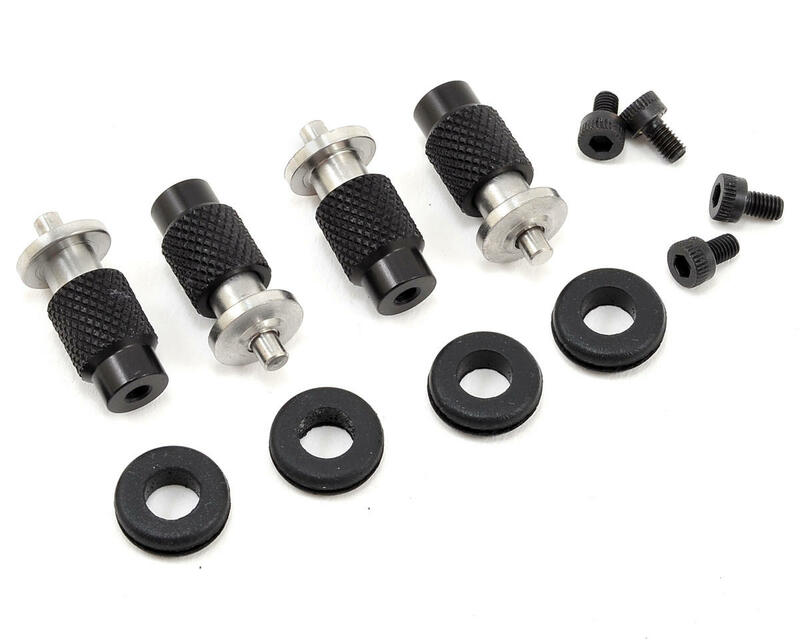 This mount set features Quick Release Pins made from carbon steel and bright zinc plated, with stainless steel components that are designed to stay connected to the canopy when not in use. Standoffs are made from 6061-T6 aluminum, hardcoated and dyed black to provide a durable finish. Package includes the components needed to assemble four canopy mounts.